At the top of an adorable little hill, in the town of Vinci (near which, Leonardo da Vinci was born in 1452), this sculpture stands sentinel just outside the Museo Leonardiano, which houses miniature replicas of some of the inventions drawn in Leonardo's notebooks. 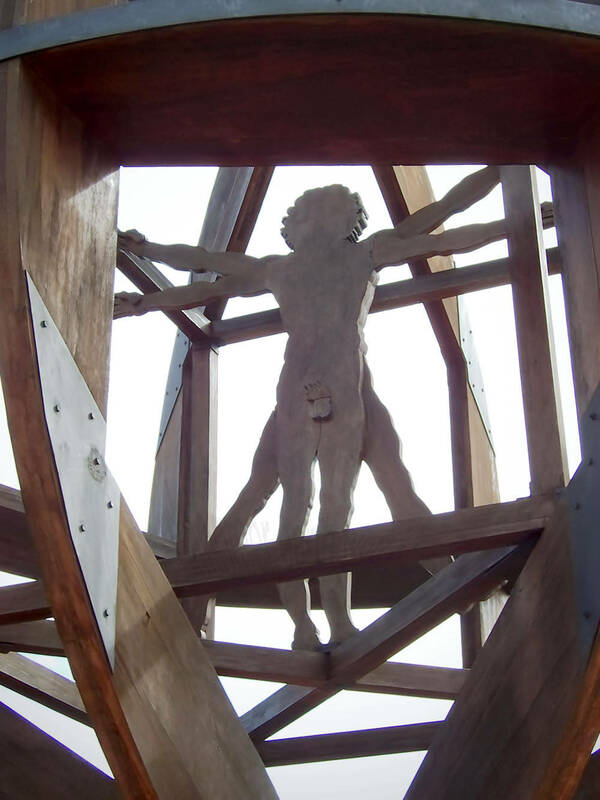 The sculpture is a 3-dimensional rendition of one of da Vinci's most famous illustrations, The Vitruvian Man. Vinci is surrounded by olive groves and vineyards. Photograph was taken in Vinci, Tuscany, Italy. Image is 1035 x 1380 pixels.